Justin Rose played the role of host at the British Masters to a tee. 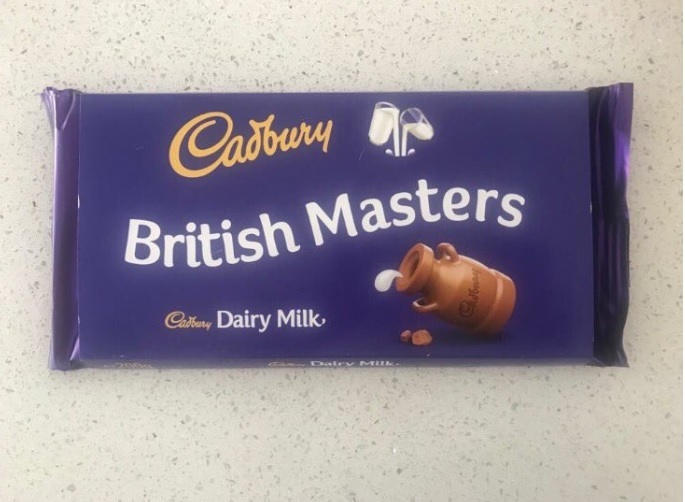 Prior to the start of play, the Englishman placed limited-edition British Masters Cadbury chocolate bars in each player’s locker. As if that gesture wasn’t enough, Rose also facilitated a substitution request from 27-year-old Eddie Pepperell, who apparently only eats chocolate bars that have fruits and nuts in them. In fact, all the great shots were a result of Rose’s chocolates. So the next time you play, make sure to visit the halfway house to scarf down at least one chocolate bar before you tee off! After nearly 30 years in the booth, Johnny Miller will be retiring from the NBC golf broadcast team in early 2019. The 71-year-old lead analyst made the announcement on Tuesday, explaining to GolfDigest.com that he wants to spend more time with his grandchildren. “It seemed like a nice, round number,” Miller said. “I’ve been on fifty years with no break. I had my 24th grandchild yesterday. All my friends were retiring and it got to a point where I was like, ‘Hey! How come I’m not retiring?’ It’s been a great run; I’ve done everything I can do announcing-wise.” Whether you like or dislike Miller’s call-it-like-you-see-it style of commentary, his credentials are undeniable. Miller joined NBC in 1990 and has been the heart of the network’s golf coverage ever since. He was no slouch on the golf course during his playing days either, racking up two major championships over the course of his career. One of those titles was the 1973 US Open at Oakmont, which Miller won by shooting a record-setting 63 in the final round—an accomplishment that he never shied away from mentioning whenever he covered a major. NBC has announced that Paul Azinger will be Miller’s replacement. Miller’s final broadcast will be at the Waste Management Open in February. The class-action lawsuit that the Association of Professional Tour Caddies (APTC) filed against the PGA Tour in 2015 finally came to an end last Thursday when the circuit announced it would be increasing annual caddie health care stipends from $2,000 to $25,000 per eligible looper. The APTC initiated the lawsuit after the tour refused to compensate caddies for wearing mandatory bibs bearing tournament sponsor logos, in addition to forbidding them from seeking out their own independent bib-sponsorship opportunities. The APTC explained at the time that independent bib-sponsorship deals would provide caddies with the supplemental income needed to adequately pay their families’ health care costs. The lawsuit was thrown out by a U.S. District Court judge in 2016 and that decision was upheld by the Ninth District Court of Appeals this past August, but not without first giving the APTC a legal avenue to further pursue its grievances in district court. It seems, however, that the PGA Tour’s announcement was substantial enough to deter the APTC from exploring that legal option, although the PGA Tour denied that the increased stipend had anything to do with the possibility of the APTC pursuing further legal recourse. “Separate and apart from the lawsuit, the tour had been reviewing a potential increase to the long-time caddie health care subsidy, and we know the caddies are appreciative of the decision to do so,” a spokesperson for the PGA Tour said. “Although these two items have been reported together, they are not connected.” Regardless of whether the subsidy increase was a strategic move or not, it’s good to know that the loopers will be able to adequately provide for the welfare of their families going forward. The only animals more terrifying than alligators on the golf course are gigantic snakes, and this one has got to be one of the bigger ones we have ever seen slithering across a fairway. There is hitting the ball fat, hitting the ball obese, and hitting it so fat that you miss the ball altogether and the club goes flying out of your hands down the fairway. Guess which one this is?